Piaget teaches us that knowledge is a consequence of experience. Therefore, any understanding of making and invention or ability to implement it effectively must be grounded in personal experience. All CMK Futures workshops are hands-on experiences that teach educators how to teach for the future instead of the past. CMK is a four-day summer institute that is the premiere event for “learning learning” by doing. Held every July in New Hampshire, this is a cost-effective way for educators to participate in a world-class professional development event. Check the events page for additional scheduled workshops in your area. 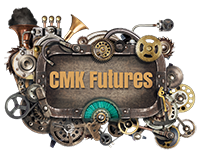 CMK Futures can plan workshops and professional development events for your school, district, or conference. All can be customized for your audience, venue, and time. Yes, we will come to you! Invent To Learn Workshop – Join colleagues for a day of hard fun and problem-solving. Learn about powerful ideas you can use in your classroom, and experience a variety of “maker” technologies. Learn more. PBL 360 – Available as a one, two or three day workshop, PBL 360 helps educators understand the powerful ideas behind project-based learning so they can transform the learning environment using digital technology and modern learning theory. PBL 360 helps teachers build a powerful, personal set of lenses and an ability to see “360 degrees” – meaning in every direction – with which to build new classroom practices. Learn more. Maker technology workshops – CMK Futures can design workshops around specific maker technologies including: wearable technology, soft circuits, programing, 3D printing, micro controllers, drones, robotics, and more. All workshops will not only focus on tools, but on learner-centered educational practices that should be adopted along with the new technology. We can even bring all the materials needed for 15 – 150 participants. Learn more. Expert Residencies – The most effective professional development happens on teachers’ turf. Expert residencies allow us to work in your school with your students, teachers, administrators, and parents to create models of what’s possible. Learn more. Parent & Family Workshops – “Maker” workshops for parents and kids are an effective way to convince parents that hands-on experience with constructive materials and technology is real learning. Host a workshop in your community, hold a STEAM day, or make your own maker fair. Learn more. Let us know what you need, we'll get right back to you.